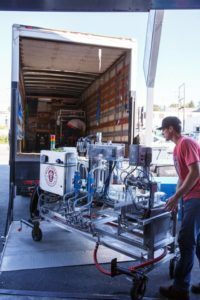 While on tour our guides get asked a lot of questions from our curious guests, and one that we hear often is “how can there be room for so many new breweries in Vancouver?” It is true, our scene has undergone exponential growth in the last 5 years and sometimes it seems like there isn’t any room left for new entrants. But healthy competition between the breweries has been good for the consumer, and it also forces those that are thinking of entering into this competitive market to be truly innovative and stand out to appeal to an increasingly more sophisticated craft beer consumer. 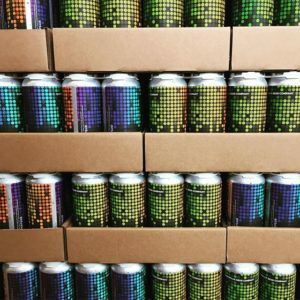 With that in mind, we’d like to introduce you to Temporal Artisan Ales, someone who we feel is shaking things up a bit in our local scene. With an innovative business model and plans to produce some truly unique beers, we caught up with Temporal Artisan Ales Owner Tristan Stewart to learn more about his plans. 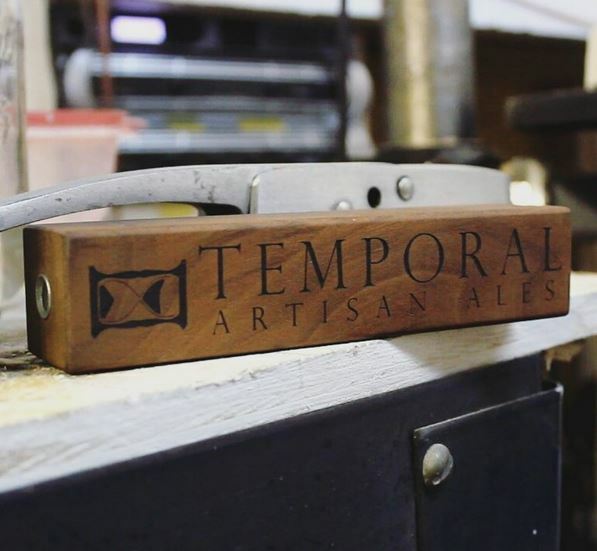 So who is Temporal Artisan Ales? 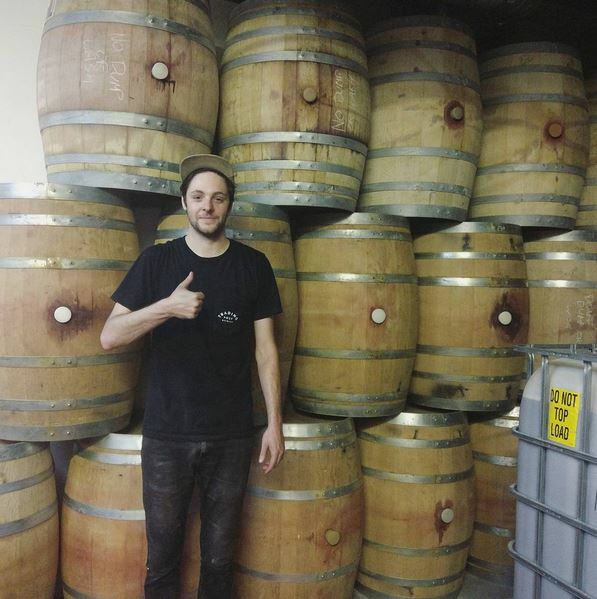 Temporal Artisan Ales is a new brewing and blending project dedicated to 100% oak fermentation. It’s a sole proprietorship, which means I am the one and only owner/brewer/blender. 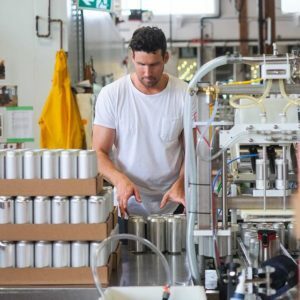 I’ve been working in the craft beer industry in BC for 6 years, which has given me experience working in a variety of roles. I’ve done purchasing for a small craft beer bottle shop, managed a tasting room, been a bartender, and brewed commercially. 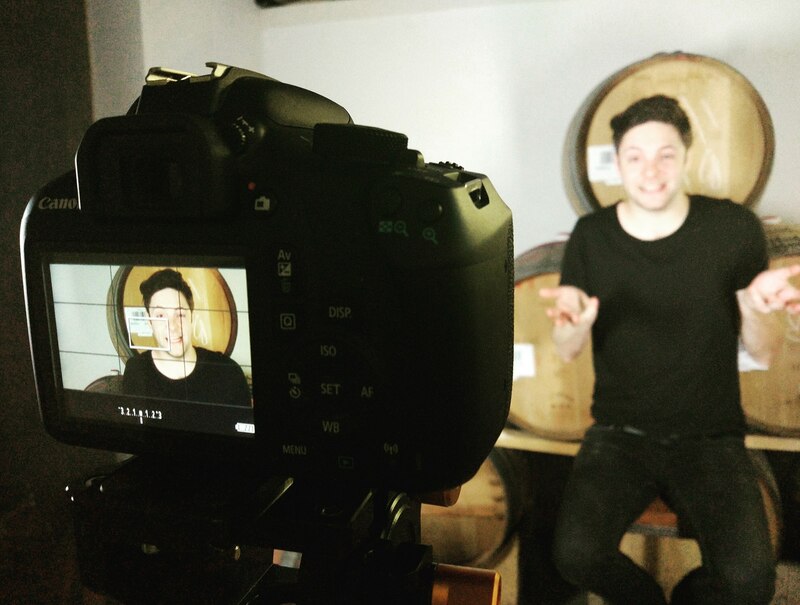 What inspired you to start Temporal Artisan Ales? To put it very simply, my inspiration is the beers that I love to drink. 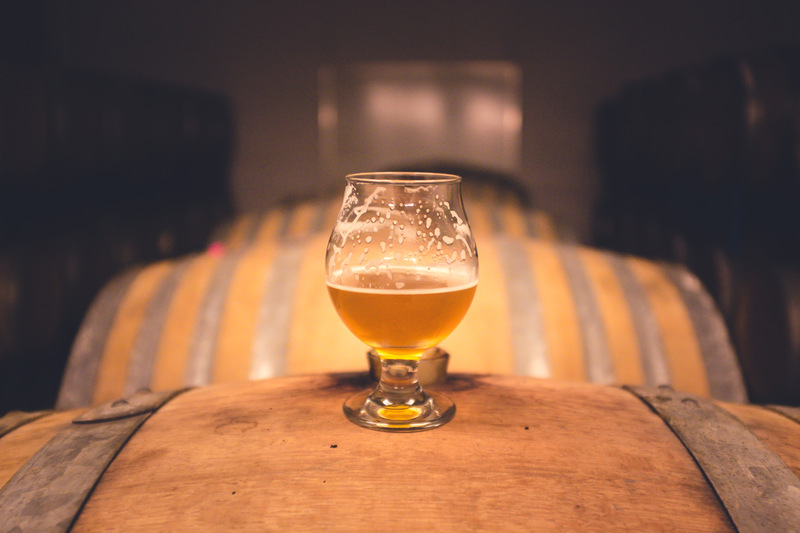 Beers that have a wonderful aged character, developed over time in a barrel or foeder. During my time working in the craft beer industry, I have spent many hours researching market trends both locally and globally. I believe that I can bring something new to our local market by focusing solely on barrel-aged beers. You introduced the community to Temporal Artisan Ales through an Indiegogo campaign, how was your idea received? I was blown away by the support of the local community to the crowdfunding campaign. 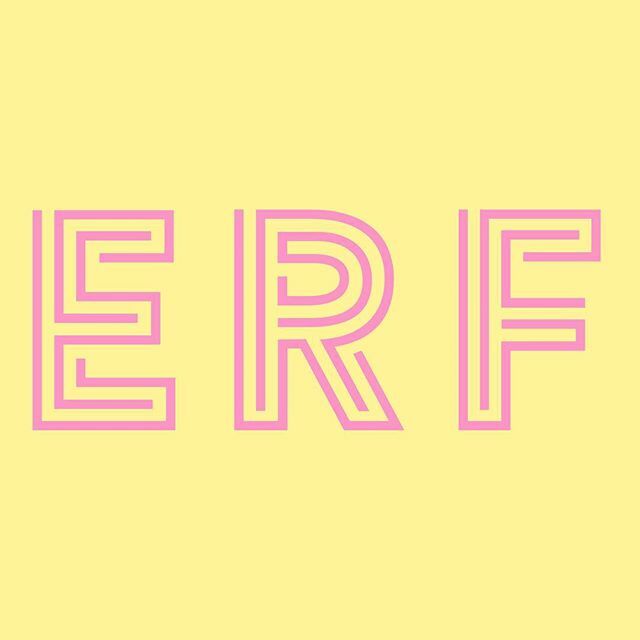 I spent a lot of time organizing perks that I thought people would get excited about, and we raised almost $9,000! I still have people messaging me asking if they can still contribute to the project even though the campaign is over, but it wouldn’t be fair to my backers to extend those perks past the campaign limit. With that being said, I do still have slots available for membership to the 2018 Cellar Society. The Cellar Society is a yearly membership granting members access to 2 bottles of 6 different exclusive, member-only, larger format beers. There are additional perks to being a member including special glassware, the ability to reserve bottles from regular releases, and first right of refusal on subsequent years membership. If you’re interested in becoming a member you can read more about it on my website and get in touch with me via email. 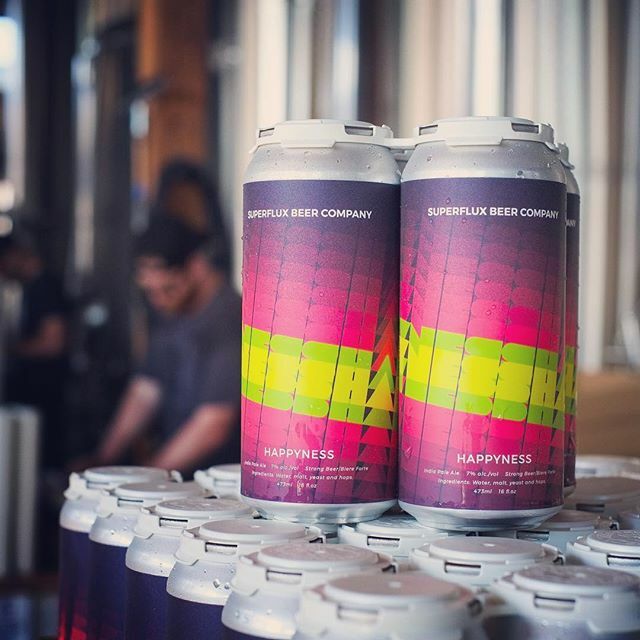 You are currently brewing and renting space from Luppolo Brewing on Venables, what made you choose Luppolo as your home? 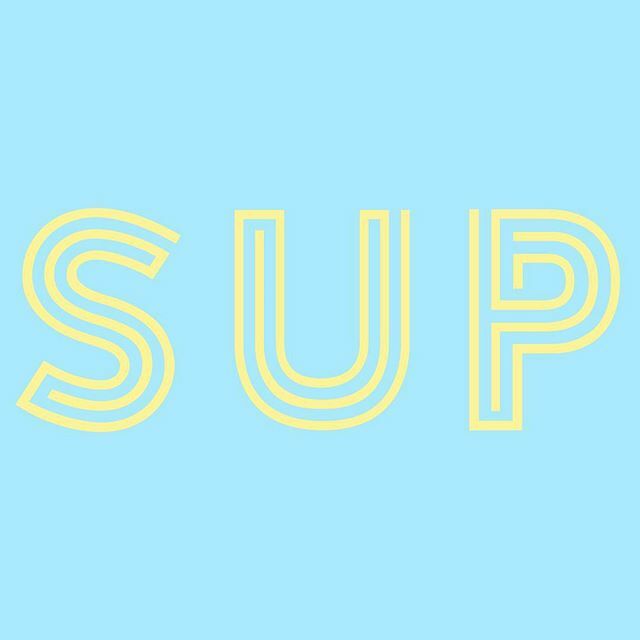 I have been working at Luppolo for about 8 months. 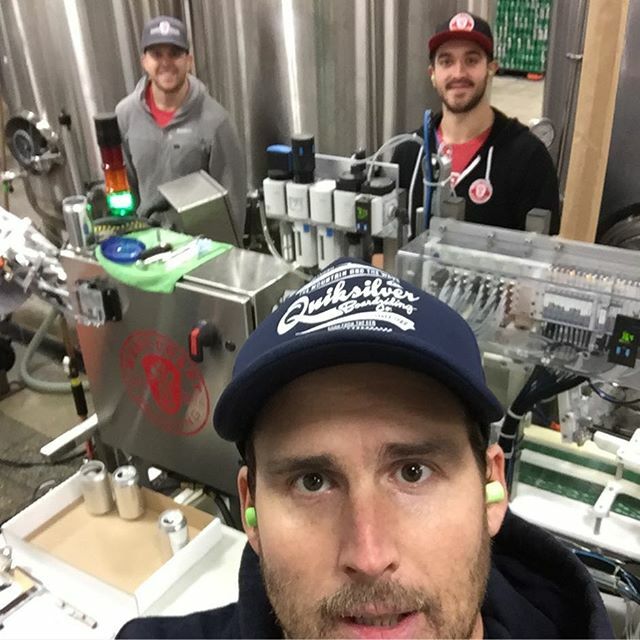 I started as a bartender in the tasting room but have transitioned out of that into working in the brewery primarily. 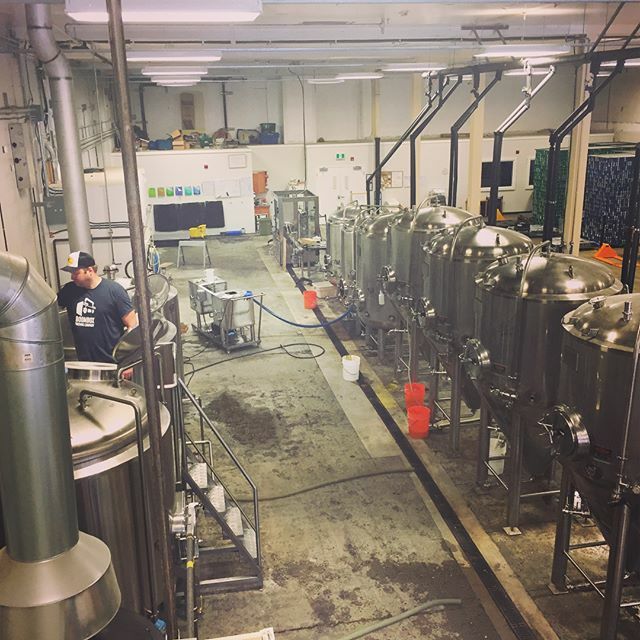 The owners are good people and we share the values of quality and commitment to the craft of brewing. 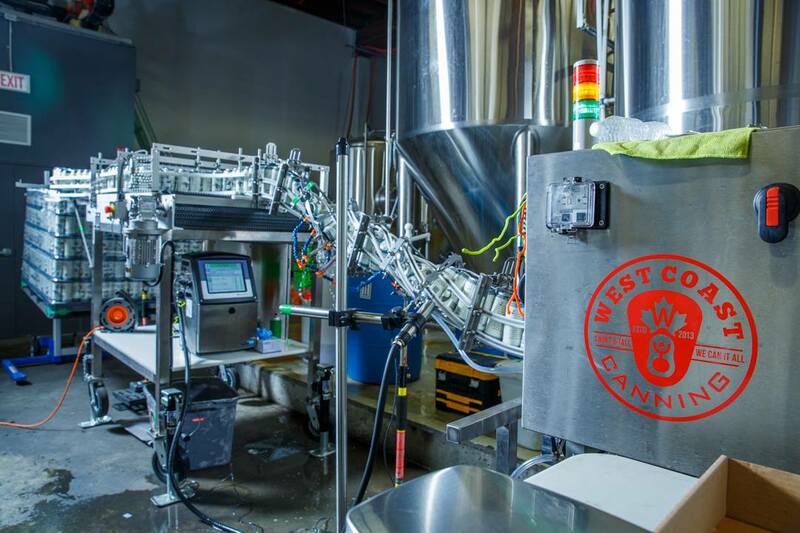 It was a natural choice, and since moving into the brewer position I have become very familiar with their brewing process and brewhouse. They also happened to have a nice little slice of warehouse space, nestled alongside their own barrel program, which they were willing to rent to me to help me get started. We have seen a rise in the number of aspiring brewers partnering with and renting space from established brick and mortar breweries. What is it about this model that you were attracted to? The main attraction of this type of model is cost. 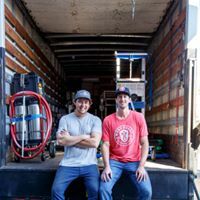 It takes a huge amount of money to renovate a building, purchase a whole brewing setup, fermenters, construct a tasting room, obtain the necessary permits/licenses, etc. By utilizing space in another brewery I was able to cut that start-up cost down to a small fraction of what I would have needed. In addition to this, my focus is on fermentation and “cold-side” experimentation. 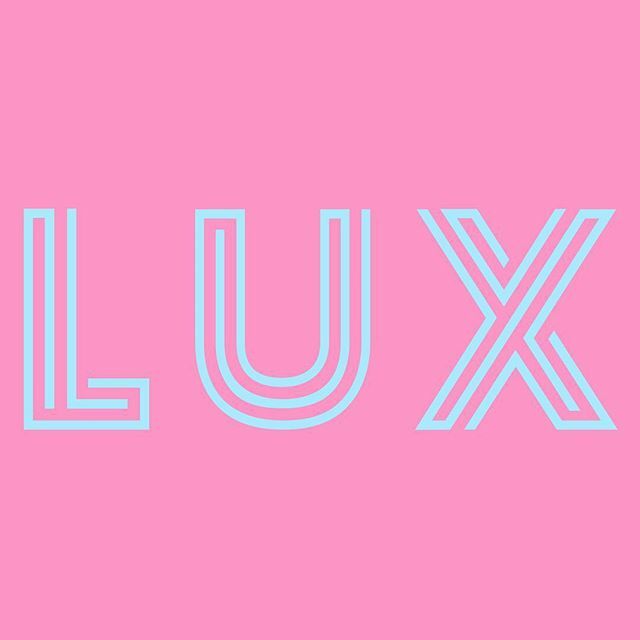 I won’t be using the space at Luppolo forever, I would like to eventually take over a warehouse to use as my own production space. 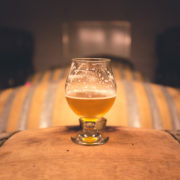 I’ll likely never purchase my own brewhouse, I would prefer to buy wort from other breweries that is brewed to my own recipes and specifications, and then take it back to my warehouse for barrel fermentation and aging. 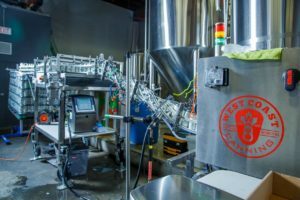 What types of beers will you be producing? There are two main avenues that barrel-aged beers tend to fall into – mixed fermentation sour and/or funky beers, and strong “clean” beers. Typically the former is fermented in neutral wine barrels, while the latter are usually laid down in used bourbon, rum, or scotch casks. 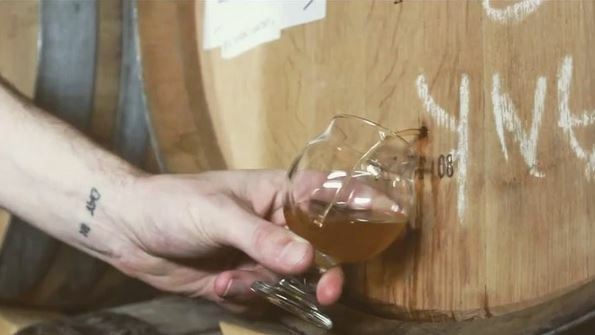 The mentality of using a barrel as an ingredient, rather than just a fermentation vessel, is something that really fascinates me and something that will be prominent in my beers. Another major focus in my process and finished beers is blending. 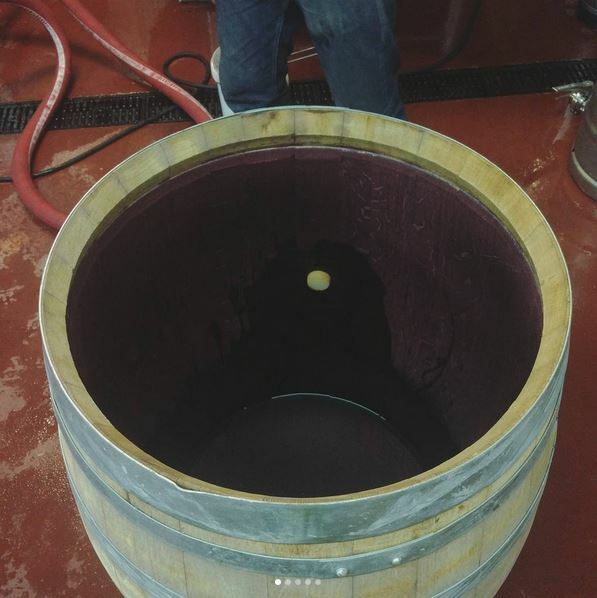 Each barrel I fill will be getting its own unique set of yeast and bacteria, which means I will have one batch of beer producing 6 different finished beers. This allows me to blend portions of different barrels to “build” a final beer. 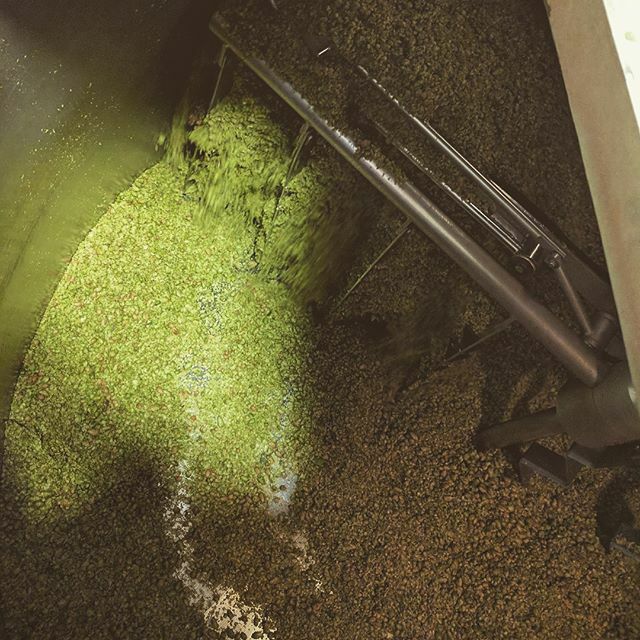 Blending is somewhat of a lost art when it comes to brewing, with roots in traditional brewing going back centuries. My cellar of barrels at Luppolo consists of French and American oak barrels, previously containing bourbon, tequila, and different varietals of red and white wine from vineyards in the Okanagan, California, and Italy. 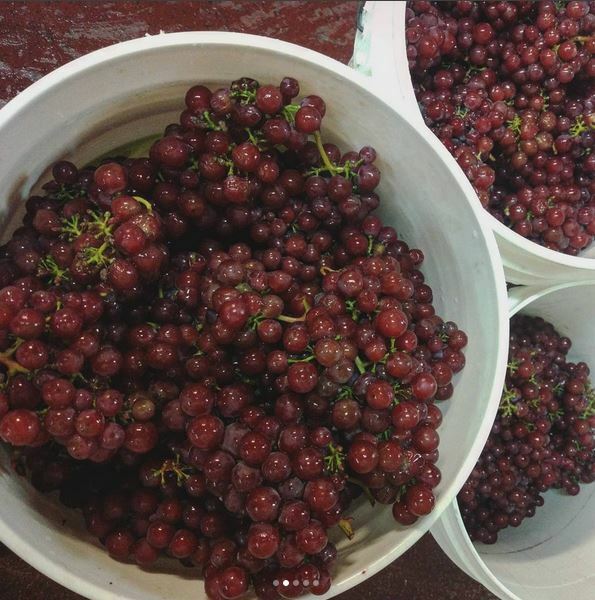 The beers I will be producing at Luppolo will be exclusively sour and mixed fermentation beers. 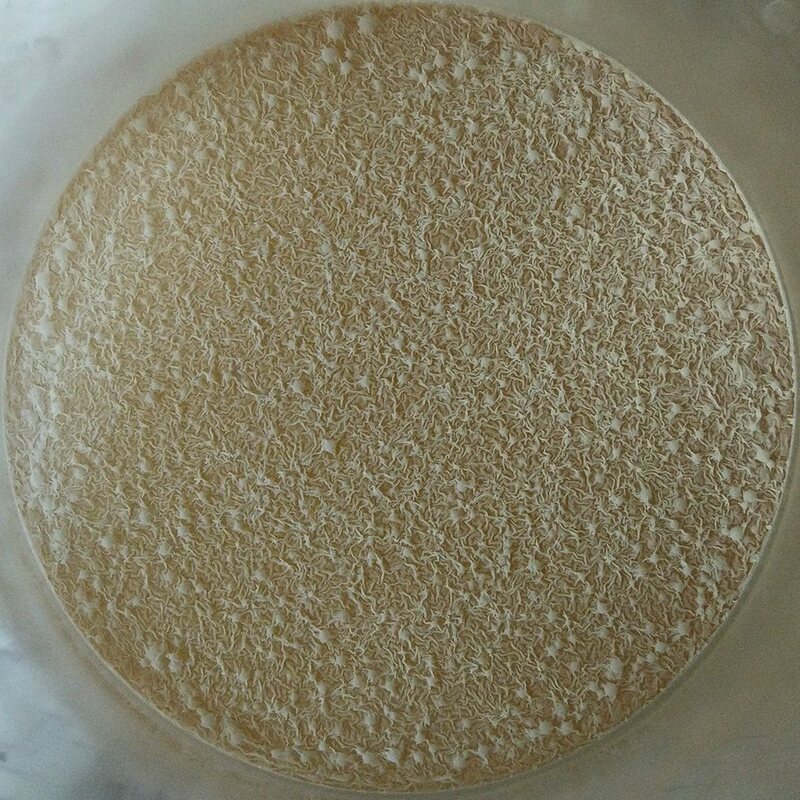 One day when I have my own warehouse facility I will expand to brew big clean beers like bourbon barrel-aged stouts, barleywines, etc but the risk of contamination of these clean beers with unwanted sour or funky microbes is higher in such a small area and without additional equipment. 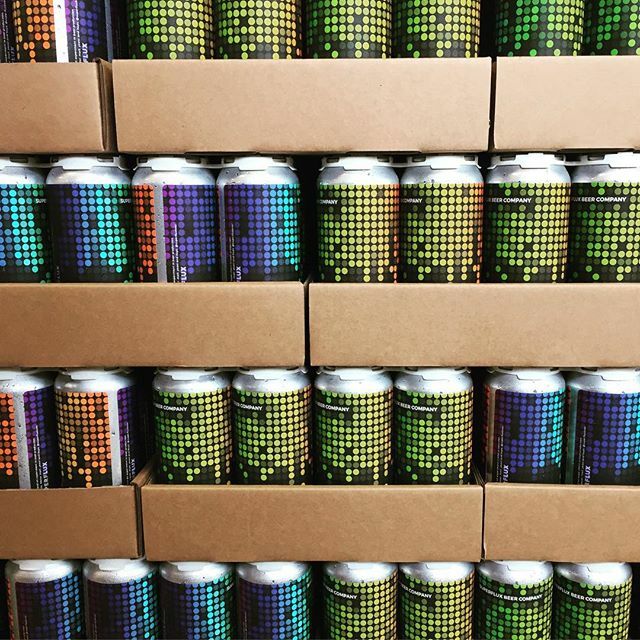 How, where and when will we be able to buy your beer? I will be releasing the first bottles in early 2018, with a production goal of 3 released beers each month. For the first beers, I have designed the recipes and selected microbes to intentionally have some beers that mature in a shorter amount of time. 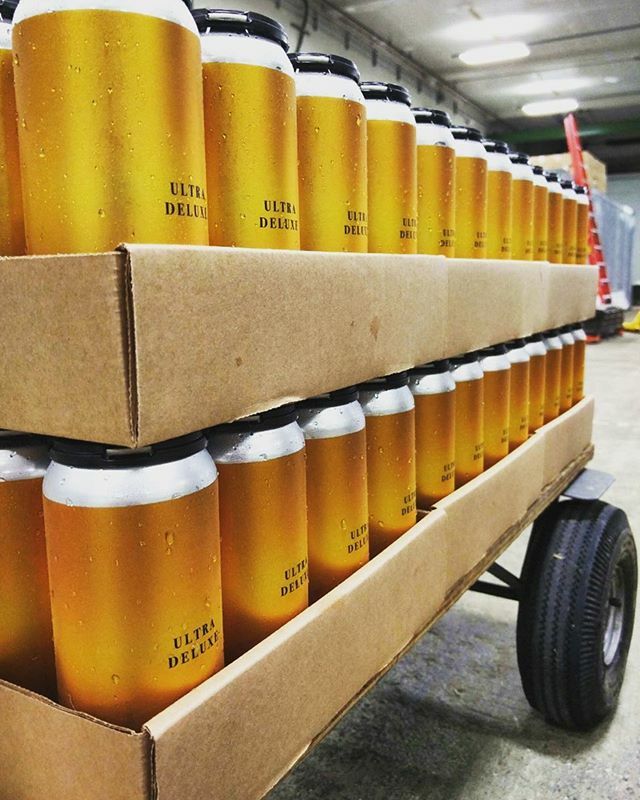 Due to the nature of these types of fermentations only time will tell when they are ready for packaging and release. My bottles will be available for sale in the Luppolo Tasting Room, where I will also have one beer on tap at a time. 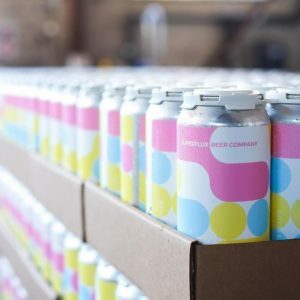 In addition to this I will be sending a very limited amount of cases to a small handful of stores and – if you’re lucky – you might catch a keg on tap in a few very select craft-focussed bars in town. 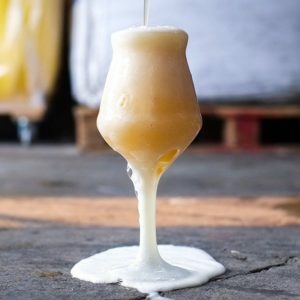 Any advice for home brewers like yourself who are thinking of approaching local breweries to rent space and do something similar to you? Nail down your business plan to the best of your ability and have it professionally reviewed. 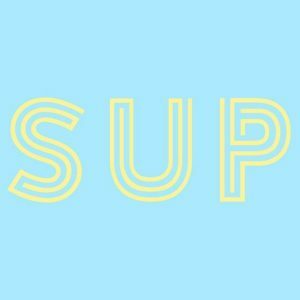 Sit down and talk with a business advisor and figure out how to make it all work. 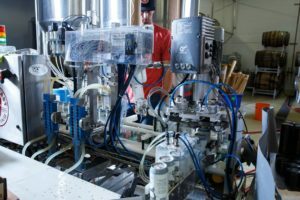 Being a good homebrewer isn’t enough, you will need to learn and understand how businesses are run and be willing to dump endless hours of time into making it all come together. 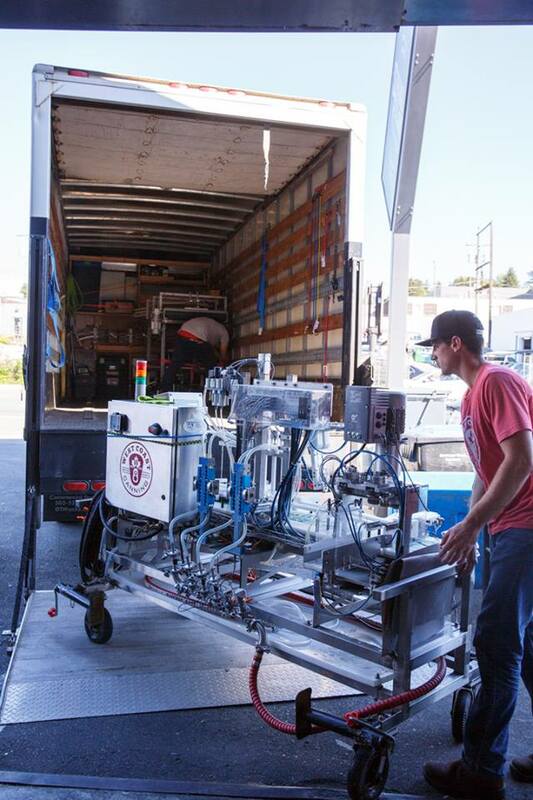 This type of model is not for everyone, and it may be difficult to find a brewery with extra space they are also willing to rent to you. If this is your dream, stay determined and focussed, work hard, and make it a reality! 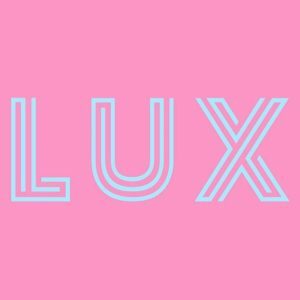 How can we follow your progress and get in touch? We are lucky enough to host beer lovers from all over the globe on our brewery tours. As our craft beer community continues to grow and gain international attention, more people are choosing Vancouver as a craft beer destination. Being new to our city, many of these travellers also need transportation to get out and explore other non-beer activities – and thankfully our friends at Airport Rentals can help! 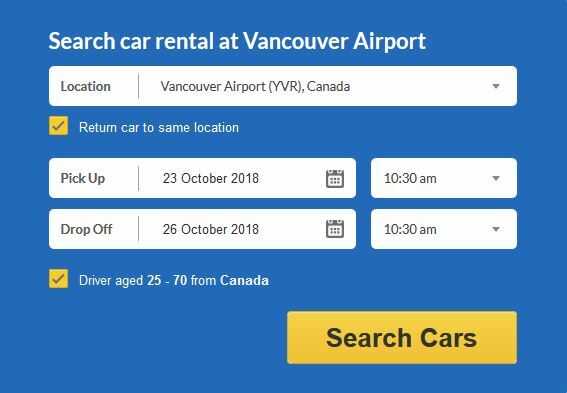 With over 2000 locations across 150 countries, Airport Rentals is a convenient way to search for and book a vehicle which you can easily pick up at the Vancouver Airport and many other locations. Choose from a fleet of vehicles that include economy cars to luxury 4WD vehicles. 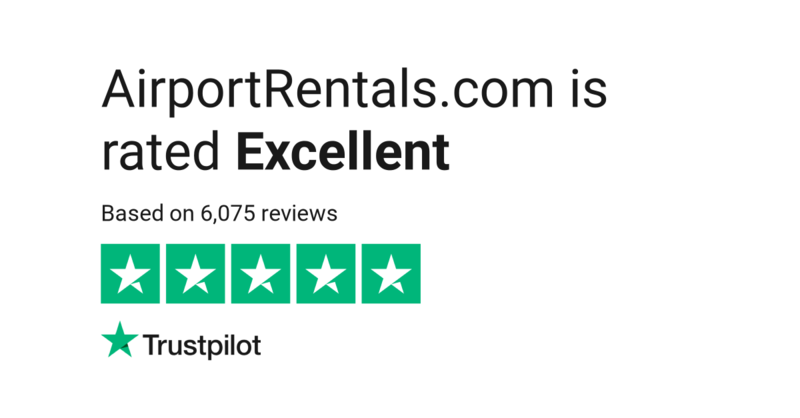 They also offer a lowest price guarantee meaning when you book with Airport Rentals you can rest knowing you’re getting the best possible price. 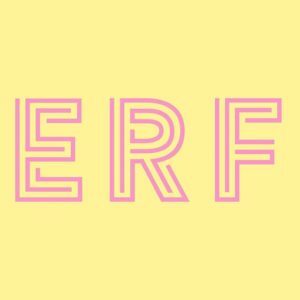 Looking for other fun things to do when visiting Vancouver? 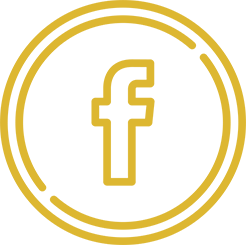 Check out the Airport Car Rentals website here for a great list of additional activities, restaurants and of course our fun and informative brewery tours – easy! 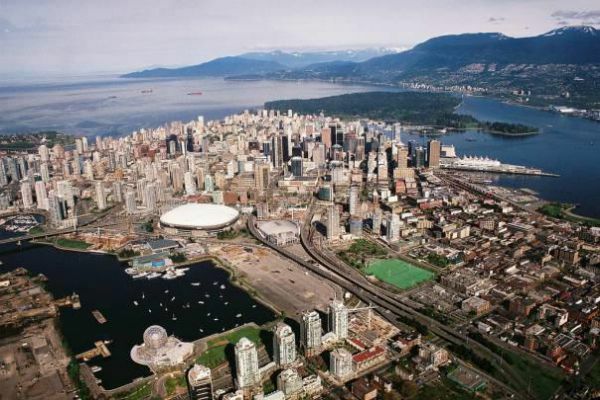 Visit www.airportrentals.com/canada/vancouver-airport-car-rental for more information and to get your car rental quote today. There’s been an awakening, have you felt it? While many beer lovers in Vancouver have cried “it’s time for the IPA to end” a few pioneers have risen and taken the IPA to new unseen heights of popularity. These guys are not only brewing some of the best and most sought after beers in town, they’re also shattering boundaries of what was possible through unique business models and creative partnerships. 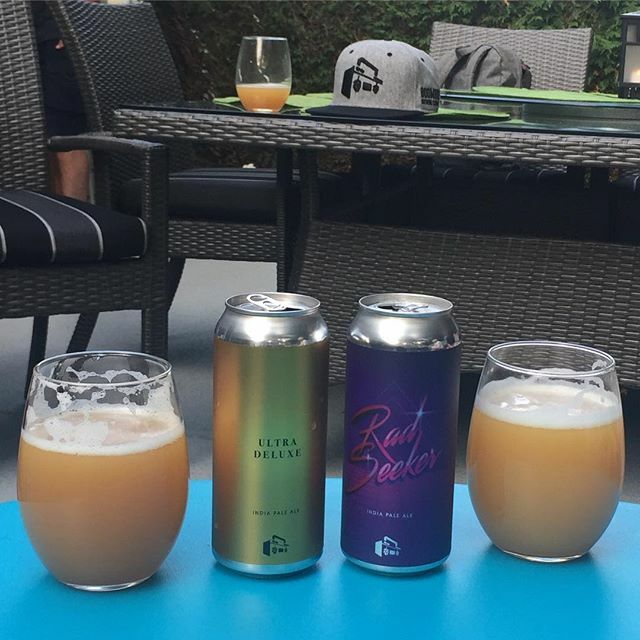 So who are these rogue breweries? Vancouver Brewery Tours is excited to announce a special event during October’s BC Craft Beer Month. 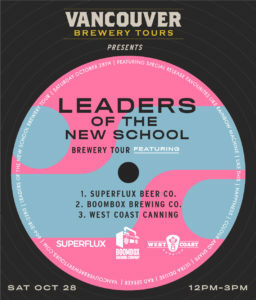 Join us Saturday October 28th for Leaders of the New School – a Brewery Tour featuring Superflux Beer Co. and Boombox Brewing Co. 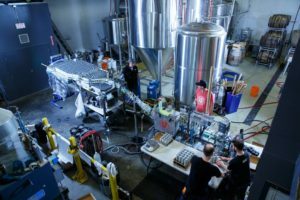 This tour celebrates “contract brewers who CAN” and features an all-can line up of special release, hard to find beers from each brewery and more. With limited seats available and special pricing for BC Craft Beer Month, this is one tour you don’t want to miss. 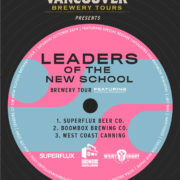 The tour starts at Superflux Beer Co. (currently calling Strathcona Beer Co. home) where guests will meet the owners. 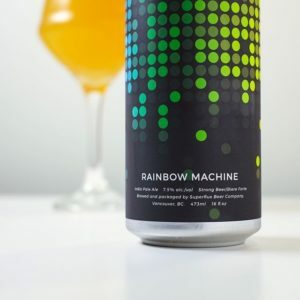 You’ll hear all about the Superflux story and have the opportunity to ask questions all while sampling a variety of special release beers from Superflux – Rainbow Machine, Happyness and more, say what? 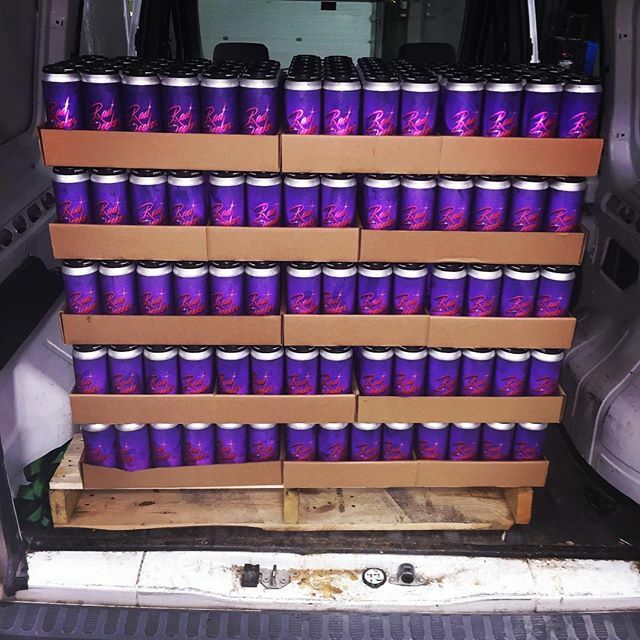 Next up is a stop at West Coast Canning in South Vancouver. 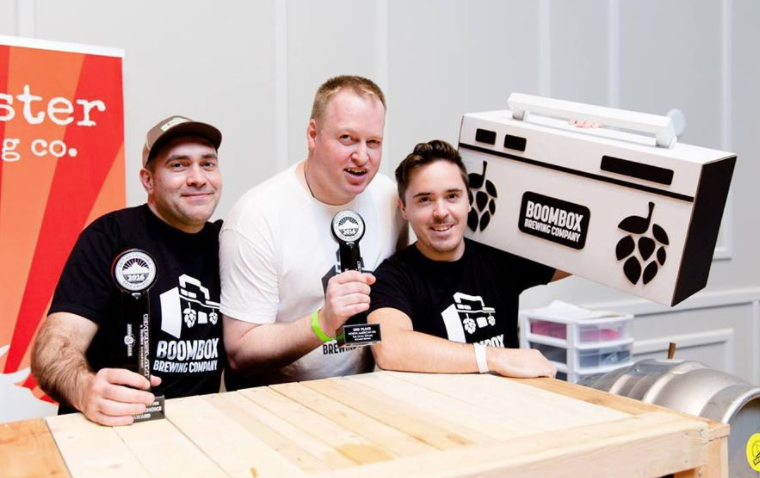 Simply put, Superflux and Boombox would not exist without this company’s support and innovative business model – the 1st ever mobile canning company in BC. 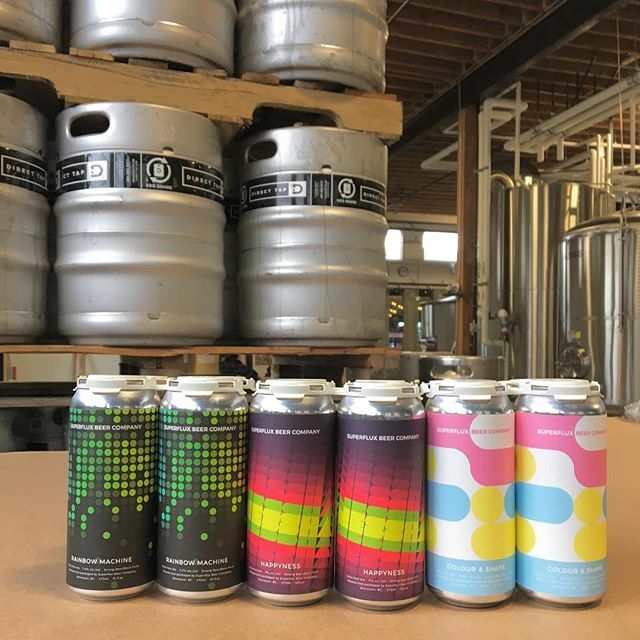 Meet West Coast Canning Owner Matt Leslie, hear about how his company cans beer for not only Superflux and Boombox, but also a large number of BC’s craft breweries. Don’t worry, you’ll be drinking beer while you learn all about the Rise of Craft Beer in Cans in Vancouver. 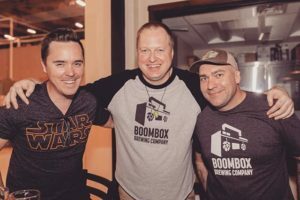 For the grand finale, the tour will end at Boombox Brewing Co. (currently calling Dogwood Brewing home) to meet the owners and hear about all things Boombox. Special release beers will be on hand from the former Callister Brewing Alumni brewery including Ultra Deluxe, Juicy AF and more. Interesting fact: Boombox and Superflux (then Machine Ales) brewed a collaboration beer last year called Pablo Esco Gnar IPA for BC Beer Awards and won the CBC People’s Choice Award!